If you hadn't already guessed from the number of posts I do on the brand, Four Seasons are one of, if not my number one, favourite hotel brand. There is something just so incredibly welcoming about this luxury brand. Everything is done to perfection from the amenities, the staff and services they provide. But of course another area they do perfection is food. 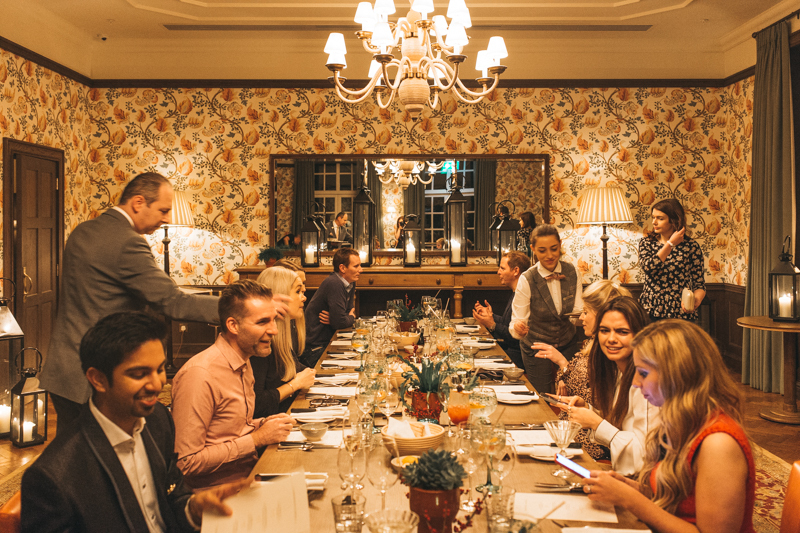 Last time I wrote about the Four Seasons Hampshire's new unbelievable brunch, but now I need to tell you about their newly opened Wild Carrot restaurant and their new quarterly event called Seasonal Socials. 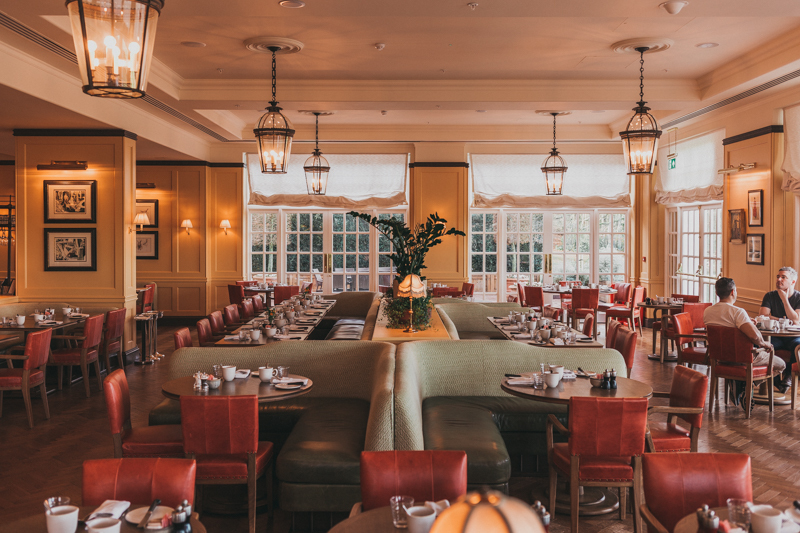 The Seasonal Socials take place in the private dinning room called Fox Hollow and is an occasion that head chef Adam Fargin and his team can create a menu around seasonal produce. For winter it is currently Pear and Venison. 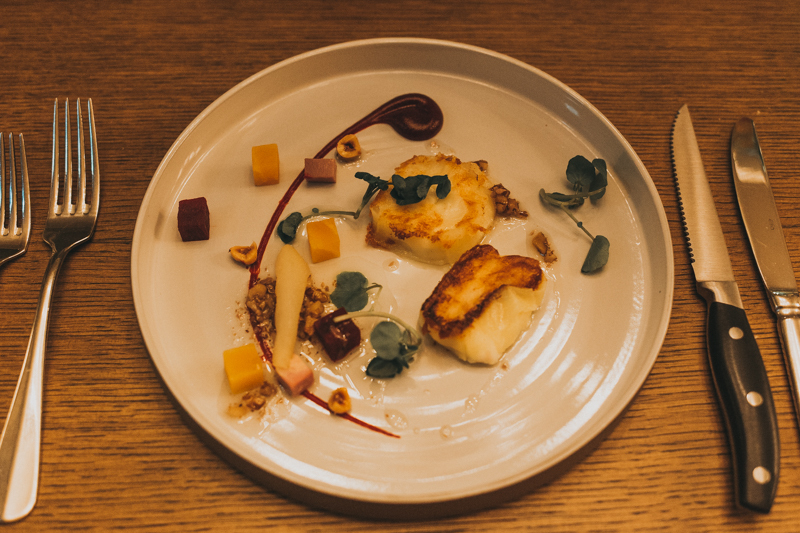 Another of the Four Seasons Hampshire's aims is the showcase local brands too. 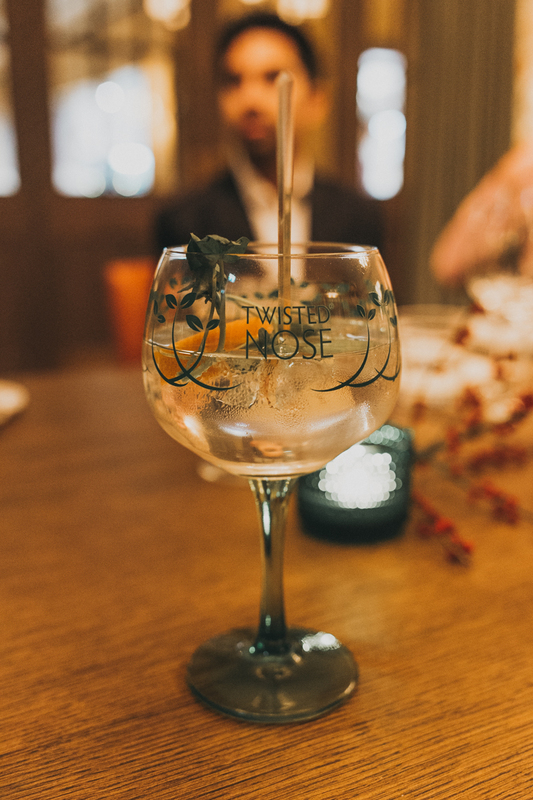 This season they have partnered with Hampshire Gin distillery Twisted Nose. The story of Twisted Nose is fascinating- it started out as a project literally on the owners kitchen table, using his house tap water to distil it. Luckily things have progressed from there now, and they are successful enough to have their own large warehouse and offices. 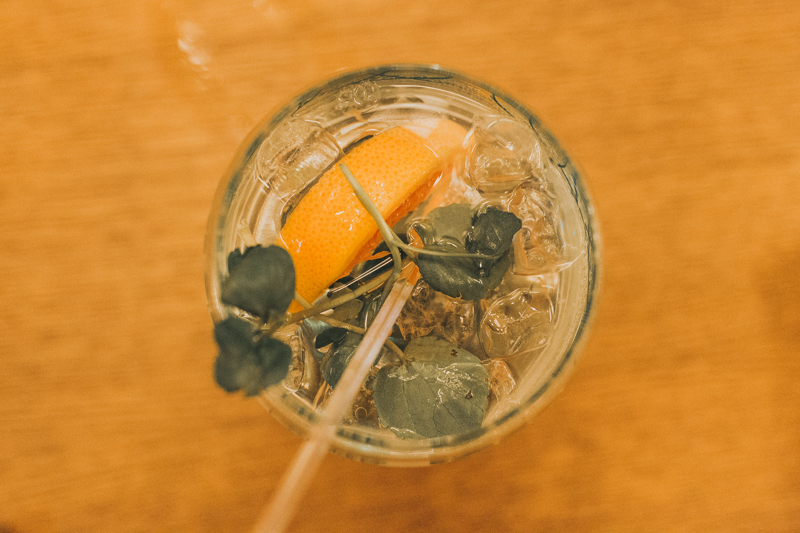 It is actually a really beautiful gin; light, fresh and very smooth. One you could easily sip away a few glasses without noticing too much . After chatting with the new faces around the table, it was time for the first of four courses. Watercress mousse amuse bouche with smoked river test trout, a saffron mayonnaise and pickled kohlrabi. watercress is grown in abundance in Hampshire and is one of their key exports. It's not a flavour I've every really thought to buy, but the peppery taste got me thinking that it might be good to use in my cooking instead of sprinkling on the black pepper. The next course was a dream for me.Fried goat’s cheese with a potato pressing and smoked duck breast. Doesn't that just sound divine? 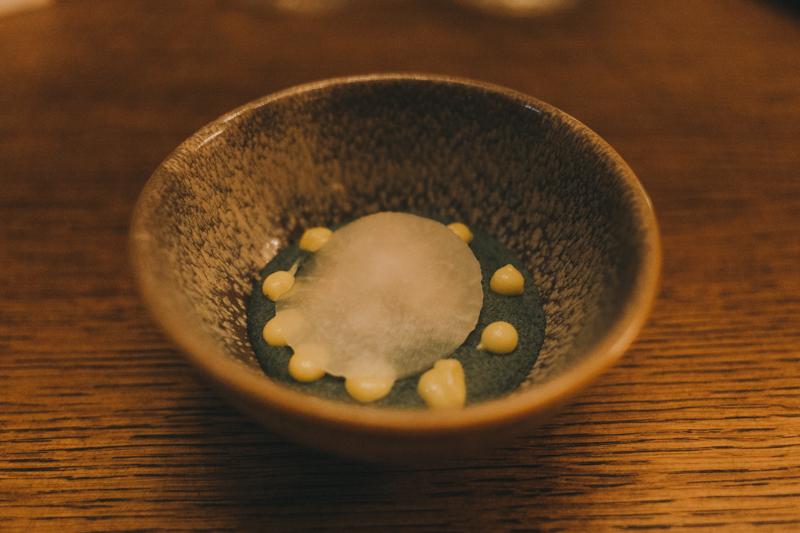 This was also the course that chef introduced the pears, as he topped with with pear and roasted beetroot. For mains we had the venison with potato terrine and apple and red cabbage sauce. 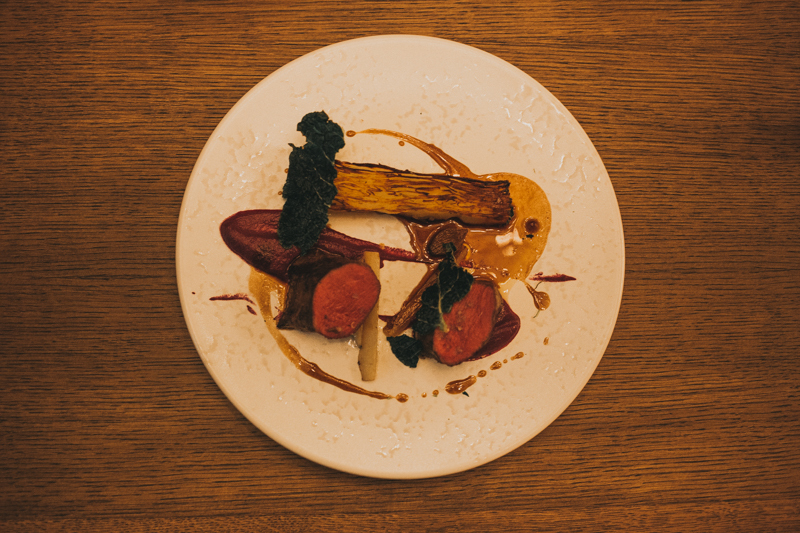 I love venison as it's one of the more tender yet richer red meats which makes it just a fantastic flavour and texture to eat. 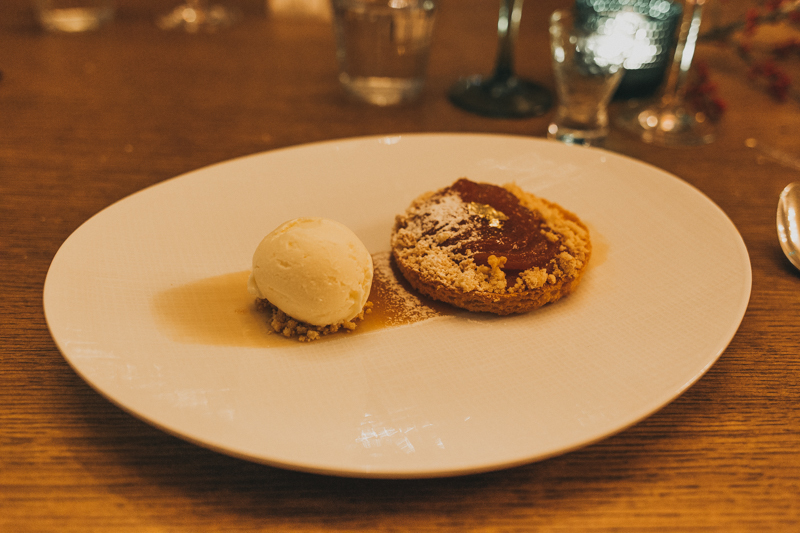 Finally we ate caramelised pear tart with clotted cream ice cream. Typical me, but I think this is might have been my favourite. I can't help it, I have such a sweet tooth. I saw someone leave about three quarters of theirs and I had to really hold myself back from taking it. The seasonal socials are such a gorgeous dinner. It's like a dinner party except you don't have to worry about the cooking, or the cleaning up, or the decorations, or well anything! 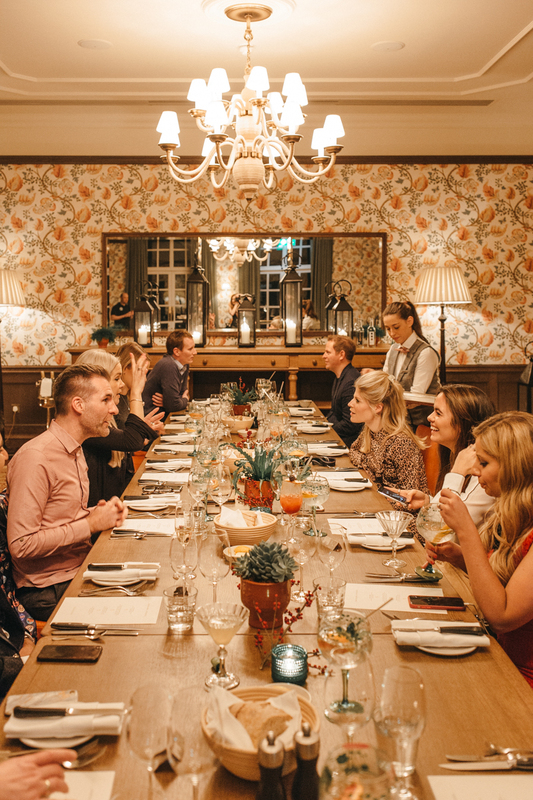 With Four Seasons Hampshire only 45 minutes away from London, it's a great local escape and makes a change from the very hectic London restaurants. If you are like me, and after a big meal feel very sleepy, take a look at the room I stayed in, as you might want to book yourself in! All sounds delicious! Especially the fried goat’s cheese with a potato pressing and smoked duck breast!